Cell Phone Warning Bill / Power line / Tooth Enamel to Gage Radiation Exposure / Too Much of Ofcom? I strongly encourage you to pass this bill and to do everything in your power to warn the citizens of Maine about the known consequences of exposure to electro magnetic radiation. There are good reasons to believe that electro magnetic radiation is the worst environmental health threat that the world has known. Unfortunately we will only know that for sure, in several years time and by then warnings and action may be to late. Please examine the scientific evidence which warns of the great danger that we all face, and make a decision based on that evidence. Please do not be fooled by unscrupulous research that has been sought and paid for by the industries that make huge profits from emitting electro magnetic radiation. I have attached one scientific document, an extract from the Polish Military Institute of Hygiene and Epidemiology (Szmigielski, S), published by Pub Med. This study shows a huge increase in cancer to the persons who were exposed to radiofrequencies and microwaves during their military service. These are the same frequencies that our families are now being exposed to each day. Feb. 28--BRIDGEPORT -- An Ontario-based company has announced plans for a major $3.8 billion, 355-mile transmission line that would link New York City and southern New England with Canadian hydroelectric and wind power sources. The line would be installed mostly under major bodies of water, including Lake Champlain, the Hudson River and Long Island Sound, terminating in Bridgeport. The company behind the project is Transmission Developers Inc., also known as TDI. Save the Sound, the environmental group that successfully fought the proposed Broadwater liquified natural gas pipeline in 2008, said it will meet with TDI next week before deciding on whether to oppose this idea, too. "We haven't seen any of the details yet so we can't say how we would think about the project just yet," said Leah Schmalz, Save the Sound's director of legislative and legal affairs. "We're looking forward to sitting down with developers to hear how they chose the path that they've chosen." TDI said that the 2,000-megawatt line would be less than 6 inches in diameter. One megawatt can supply about 1,000 homes with electricity, so this line could, in theory, could supply about 2 million homes. There are about 1.5 million homes in Connecticut, according to the U.S. Census Bureau. Unlike most high-voltage transmission lines, it would use direct current instead of alternating current, so as not to generate possibly harmful electromagnetic fields, often referred to as EMF radiation. The power would primarily come from new hydropower and wind generation projects being developed in Canada, TDI said. One of the company's high-voltage, direct-current cables is already in place under the sound, between Shoreham, L.I., and Norwalk. Others are in place between the United Kingdom and France, and between Italy and Greece, and several other places around the world. "We see ourselves as building part of America's new super-transmission highway," said Donald Jessome, president and CEO of TDI, in a prepared statement. TDI said that it hopes to complete the line by 2015. "There's been no permit filing made here with our department as yet," said Phil Dukes, a spokesman for the state Department of Public Utility Control. He added that DPUC officials have sat down with TDI planners to go over the project. "There are a lot of proposals to bring power to the region, which is likely to result in lower-cost power to Connecticut," Dukes said. "But a lot of these projects are a long way to coming to fruition." The line would almost completely avoid the use of overhead power lines. It would mostly be buried under water beds, using a water jet as a trench-digging device, which the company said has a minimal impact on the environment. The trench would be only a few inches wider that the cable itself, and it would be about 3 feet deep. TDI said that after the cable is buried, it's almost impossible to tell where it's located. Still, part of the line's route in the bed of the Hudson River would skirt the part of the river near Albany, so as not to disturb buried PCB sediment there. According to investigators, human teeth are extremely sensitive to recording information about past experiences we may have encountered, in the sense that they store data on the environmental pollution and radiation levels we came across at some point in our lives. Knowing this, a group of researchers is currently working on developing an advanced method of deriving these dataset from our teeth, in manner that could yield results which are usable in practical applications. They say that this line of study also has tremendous implications for national security. Team members from the new initiative say that enamel – the hard layer covering the outside of our teeth – can store radiation readings with great accuracy. They add that devising a way of understanding them could provide emergency responders with methods of determining precisely how much radiation a certain individual was exposed to, for example in the case of a dirty bomb explosion. "Dental enamel is quite a remarkable material. There's a world of information in the tooth," Howard University in Washington College of Dentistry professor Barry Pass says, quoted by LiveScience. The expert and his team are currently working on developing a new technology, called Electron Paramagnetic Resonance (EPR), which could basically assess the levels of free radicals inside materials such as enamel. These substances are atoms with an extra, unpaired electron, which tend to be in the habit of replenishing their pairs by stealing electrons from healthy tissue and DNA. This makes them very damaging to healthy tissue, but they are also produced in specific amounts when a person is exposed to radiation. Therefore, they can accurately be used as a marker to gage the degree of exposure a certain individual has had. "These free radicals are generated in proportion to the radiation exposure. The absorption of microwave energy is proportional to the concentration of these free radicals," explained Pass earlier this month, at the meeting of the American Physical Society, held in Washington, DC. He added that the team's new method relied on bombarding a small sample of tooth with microwave radiation. Apparently, free radicals absorb wavelengths in this particular region of the electromagnetic spectrum. "Ideally what we want for rapid triage is something that's non-invasive. You want to be able to get unambiguous data so you can triage or break down the victims into subclasses. You want to be able to operate in a variety of environments by minimally-trained individuals," he concluded. Are We Expecting Too Much of Ofcom? Extract from Ofcom's official website: What is Ofcom? Ofcom is the communications regulator. We regulate the TV and radio sectors, fixed line telecoms and mobiles, plus the airwaves over which wireless devices operate. We make sure that people in the UK get the best from their communications services and are protected from scams and sharp practices, while ensuring that competition can thrive. Ofcom operates under the Communications Act 2003. This detailed Act of Parliament spells out exactly what Ofcom should do. The Act says that Ofcom's general duties should be to further the interests of citizens and of consumers. Meeting these two duties is at the heart of everything we do. Accountable to Parliament, we are involved in advising and setting some of the more technical aspects of policy, implementing and enforcing the law. Independent of Government, our decisions and advice are not swayed by party politics, which allows us to act solely in the interest of citizens and consumers. Are there any reasonable grounds why Ofcom should not grant the request to vary the five Wireless Telegraphy Third Generation Mobile Licences by increasing the permitted maximum in-band EIRP to 68dBm as soon as practicable? If so, please explain your reasoning for this. Are there any reasonable grounds why Ofcom should not also apply the increased permitted maximum in-band EIRP to future 2 GHz MSS/CGC licences? If so, please explain your reasoning for this. Such a request for information seems like a straightforward, honourable and reasonable position to take. Participation by 'stakeholders' - those who have something to gain or lose, is granted to all comers, for free. On the face of it, the consultative processes may seem like democracy in action. But there is another interpretation: Yet more of our 'inalienable' right to unpolluted living space is about to be taken from us, and those with the power to do it are granting us the opportunity to express our opinion, to 'get it off our chest', as it were. · It makes the organisation asking appear fair and reasonable. · It defuses opposition and protest. · It divides and conquers (views flow into organisations, decisions flow out). · It allows people with little or no power to believe they have some influence. · It allows a gullible public to believe their rights are being treated with respect. · It allows the recipients to 'weigh the evidence' according to their criteria. The organisation offering the 'consultation' naturally cannot promise any particular action in response to concerns expressed as they do not know in advance what those views will be. They are nevertheless often the sole arbiter of which views are represented and what weight is given to them - they also control what data is published and when. · The consultative process relies on those being consulted believing that their views may have a beneficial influence. · Consultation takes the anger, force and motivation out of opposition. It provides a wall against which to throw sand. · It provides insight into detail, strength of feeling and likely opposition. · It buys time during which implementation plans can be fine-tuned to minimize the cost of adverse reactions. · It provides apparent legitimacy for the chosen course of action. Anything you get for free has got to be of questionable value. Being given the opportunity to express ones views, to defend one's rights, by those who have the power to remove them, is a free opportunity that does not come without cost. After a suitable delay, expect a statement to the effect of: "All stakeholders have been given the opportunity to express their views and all submissions received by the deadline have been considered." Freely handing over one's thoughts is a matter of trust. For many, Ofcom, particularly by its continued slavish adherence to the ICNIRP standard and its enthusiastic support for digital roll-outs, has failed to demonstrate that it is an official branch of this government that warrants the trust of those made ill by the technologies they promote. Submissions which fall broadly in favour of the published plan may suggest additional business opportunities and will surely point to advantages of the plan which may be promoted to those less convinced by its benefits. Submissions broadly against the plan allow arguments to be identified and counter-arguments to be developed, disseminated and practiced. Ofcom are not there to protect the public's health. There is nothing in their statement about safety and deciding on 'citizen's best interests' covers a multitude of sins. Delivering willing and reassured consumers to the incredibly powerful and influential telecommunications industry seems a plausible explanation. But why should such an outrageous thing be allowed to happen, especially regardless of the consequences suffered by some people? Never mind the billions of pounds/dollars/euros/yen that smooth the process, Governments cannot achieve sufficient intelligence information to counter terrorism without the support of the telecommunications companies. Our collective security is unfortunately now dependent on a dangerous and unequal alliance between Government and Very Very Big Business. "If we don't tell Ofcom our views when they do ask, how will they know what we want? Ofcom will say we don't care and go ahead anyway." What is the point of telling Ofcom our views if we are not convinced Ofcom or the Governments 'technology partners' will not simply use our input to legitimize their actions? Is the mobile mast power upgrade a 'done-deal' and is public consultation merely 'window dressing'? Why should the disenfranchised have any influence now when they have had precious little before? If these words are representative of wider feelings, they may resonate with EMF Refugees across the world. Perhaps others will be inspired to share their otherwise private submissions with a wider and perhaps more receptive audience. Does Ofcom deserve our respect and trust? Do we believe in its objectives? Do we support what it says it stands for? Do we feel our elected officials and unelected representatives who nonetheless speak and act on our behalf and with our authority, do we believe them to be smart, well-informed and influential enough to do us justice and safeguard our wellbeing? 1. Sufferers of EHS are reeling under the onslaught of wireless-radiation that by Ofcom's authority they are now subjected to, everywhere they go. Unprecedented in the history of the planet, never before has so widespread, constant and untested wireless technology been unleashed on the whole ecosystem without adequate oversight and controls. 2. The UK Government, through Ofcom, has allowed, indeed encouraged everyone's forced participation in the biggest uncontrolled biological experiment since the Nazi's. Ordinary people who are unable to tolerate even the present level of these now ubiquitous emissions are losing their jobs, their homes, their opportunities - their lives. They have no access to medical and dental care, their ability to travel is curtailed, they are forced into isolation. Their rights are quietly being stripped from them. They have become outcasts and refugees in their own homelands. In short, like the polar bears, wolves and the American Indians, they are quietly having their habitats taken from them under official sanction. It is already a scandal. It is obscene that this intolerable situation is being promoted under official acquiescence. Increasing the power of mobile phone base stations will further accelerate this process and should not be allowed. The people at Ofcom should be ashamed to be associated with enabling such a power increase. 3. Mobile phone radiation was not safety tested before it was let loose on the public. It is now impossible to conduct case controlled studies into its biological effects. There are now no un-irradiated individuals, animals or plants, let alone bees. Increasing the power of mobile phone base stations will further accelerate the damage being done and should not be allowed. 4. Mobile phone base station emissions in our collective environment do not exist in isolation. They are part of the cacophony of digital signals to which we are now all subjected. Until it is known why they and other forms of man-made digitally pulsed microwave radiation makes some people sick, allowing an increase in radiated power is dangerous, irresponsible and should not be allowed. 5. Incredibly, Ofcom does not know how much digitally pulsed microwave radiation is emitted from all the transmitters on the masts to which it, on the Government's behalf, grants licences. Ofcom does not ask the operators and the operators are not obliged to provide information on the number of individual transmitters or their antenna gain in any particular direction. Even if Ofcom did know, because each licence application is considered in isolation, they have no idea of the total emissions from any given mast, rooftop or other installed facility. 6. Even if Ofcom conducts measurements, it is clear to those adversely affected that in the digital realm, gross power levels are an inadequate metric for assessing biological effects. Indeed Ofcom do not appear empowered to consider biological effects, deferring to other equally complicit organisations such as ICNIRP, the UK's Health Protection Agency - HPA and The World Health Organisation - WHO to cover their ignorance, lack of remit and lack of influence. 7. Even if Ofcom had all of the information believed lacking, they have no way of factoring in all the other exposures to which people are subjected as they go about their normal daily business. Digital Terrestrial TV - DTV, Digital Audio Broadcasts - DAB, satellites, airborne radar and HAPS to name but a few. Wireless alarm systems, leakage from microwave ovens - the list goes on and on, never mind those ignorant or foolhardy enough hold mobile phones to their heads. Where is precaution in any of this? Until more is known about the now undeniable adverse biological effects of pulsed digital microwave radiation and other forms of man-made electromagnetic radiation, increased signal strengths from mobile phone base stations should not be allowed. 8. This Government and Ofcom are subservient to, and slavishly compromised by the ICNIRP standards which allow blanket exposure based on gross analogue power levels, taking into no account the non-thermal effects of digital signals. Increased levels of digitally pulsed mobile phone base station microwave emissions should not be allowed. 9. Britain, like the rest of the world has allowed itself to be swept up on a wave of technological advantage with scant regard for the health consequences. Ofcom have been instrumental in that process. A public health tsunami of unimaginable consequence is building. So if you wish to participate in Ofcom's 'consultation' and share your thoughts with them, go right ahead. A similar 'consultation process' was enacted in Sweden in 2000. It took years for all the data to eventually surface, and then only because a few enlightened dedicated people made it happen. If you want to know how others might feel about an increase in licensed mobile phone base station power, you have only to consult Black On White, the testimony of over 400 Swedish people whose lives have been destroyed by electromagnetic radiation. It is available as a free download from http://www.feb.se/feb/blackonwhite-complete-book.pdf As for being out of date, it is even more relevant now than it was in 2000. Ofcom have given us the spur on which to collect our thoughts. Please use this opportunity to share them with the rest of the world who are watching from the wilderness. Fadumo Mohamed, right, and her neighbours are suffering from headaches they blame on a cellphone tower, background, which has been erected only a few metres from Fadumo's bedroom window. Fadumo Mohamed says she is so upset by the cellphone tower installed this month a few metres from her back fence that she has a hard time sleeping. The white metal structure looms over her home, leaving her worried about possible health dangers from radiation emissions and unhappy with her view. "It's very tall. Whenever I see this thing, I feel dizzy. I feel like it's going to fall on top of my house," she said Friday. The tower, built on the edge of the Dickinsfield Mall parking lot, is one of hundreds in Edmonton serving the growing demand for cellphones and their increasingly sophisticated applications. While many telecommunications installations generate little debate because they're located in industrial subdivisions or use rooftop antennas, facilities in residential areas can stir up controversy. Mohamed said she would have objected if she'd known the tower was coming, although Wind Mobile sent out a notification to local residents in December "as a courtesy" indicating it would be built. A Wind Mobile spokesman couldn't be reached for comment. Under city policy, a company that wants to put up "significant" towers or structures must talk to planners and the community league, as well as notifying landowners within a set distance and holding a public meeting. Once the city learns the company's response to any objections, it indicates whether it supports the proposal to Industry Canada, which has final approval. But this process generally doesn't apply for towers less than 15 metres high, ones on top of buildings that are downtown or more than six storeys, or when the structures are separated from a residential area by an arterial road. Since July 2008, the city has concurred in about 110 installations, officials say. It hasn't objected to any, although some proposals were changed following negotiations and two or three were withdrawn. Westmount residents are now fighting a proposed 30-metre tower near the southeast corner of Groat Road and 111th Avenue. The main concerns are that it will hurt home prices and potentially cause health problems, community league president Dave Thompson said. "It's very surprisingly close to housing. Towers are usually in industrial places, parking lots, malls." An open house was held in January. Opponents have set up a Facebook page and received letters of support from their MLA and MP. "If they start moving into neighbourhoods, I think they're going to face a lot of fights. People don't want to have their property values brought down." Jeff Price, director of development and zoning services, said the city hasn't yet decided whether it will support the proposal. Anecdotal information suggests such objections haven't often occurred, possibly because people know towers must go somewhere or don't mind the design, but there could be more debate in the future, Price said. "They can't go exclusively in industrial areas. They're maybe going more in residential areas ... it's going to create a problem when they do this circulation (of information) -- people are going to say 'I don't want that.' "
Coun. Ben Henderson said many towers are so unobtrusive people don't realize they exist, but he wants more clarity about how the city decides which projects to support. "If we were putting up a 60-foot anything else, we would be looking at how it fits. Why would a cell tower be different?" he asked. "We're saying we think people should have input, but we're not setting any benchmarks about when (towers) are appropriate." An interesting article in GQ about the health hazards of cell phones and Wi-Fi. "In April 2008, the national library of France, citing possible "genotoxic effects," announced it would shut down its Wi-Fi system, and the staff of the storied Library of Sainte-Geneviève in Paris followed up with a petition demanding the disconnection of Wi-Fi antennas and their replacement by wired connections." Independent research consistently shows that cell phones and Wi-Fi pose real health hazards, while research funded by the cell phone industry consistently demonstrates there's absolutely nothing to worry about. Would a librarian who advocated shutting down Wi-Fi services be taken seriously, or dismissed as a crank? A librarian would be taken very seriously by anyone who takes the time to read about the adverse health effects of wireless (microwave) radiation. Those health effects have been known for over sixty years, when radar was first used by military personnel. The scientific evidence showing harm to health is staggering and you will wonder why it is not more widely known. (many good books on the subject are available). Wi-Fi is dangerous technology which does not belong in libraries or public spaces. There are safe (wired) alternatives which should be used. CONTROVERSIAL plans to site a mobile phone mast next to a popular school were dropped yesterday after hundreds of residents sent out a clear message of protest to a telecoms giant. Telefonica O2 announced it will not go ahead with erecting the 12.5 metre-high mast outside 450-pupil Darras Hall First School in Ponteland, Northumberland, following a meeting with community leaders. Instead the company said it will work in partnership with the local community and council planning officers to find an alternative and less sensitive site. The U-turn is a major victory for campaigners who have opposed putting the mast next to the school or elderly people's flats on The Broadway. O2's decision came after several hundred local people turned up to stage an impressive demonstration prior to yesterday's meeting in Ponteland United Reformed Church Hall. Parents, grandparents and children from local schools defied heavy rain to turn out with placards saying No2O2 and greet company representatives arriving for the meeting. 02 agreed to meet local MPs and MEPs, county councillors, planning officials and community representatives in a bid to find a compromise solution to the eight-month row. It has been simmering ever since the company gained planning permission for the school site because of a county council blunder in May last year. Yesterday O2 regional communications manager Tom Powell said: "What we have done today is agree not to proceed with the site which has planning permission. We will now work with the local community and planning authority in order to achieve a suitable solution to this problem. "We are required to improve mobile coverage for our customers in the Darras Hall area and we will do that." Hexham MP Peter Atkinson, who took part in the meeting, said the residents' demonstration had been fantastic, and he was pleased that 02 would not now go ahead with the school site. "I don't believe there has ever been a mobile phone mast protest in the North East with so many people as were here today. It was a huge turnout and O2 were clearly impressed. They have not given a commitment that the mast won't go up in a residential area, but I believe everyone is satisfied with the progress that has been made. "I think people high up in O2 have realised they were looking at a public relations disaster here, and they have now acted reasonably and sensibly." Businessman Ian McLean, who lives in The Drey, Darras Hall and whose daughter, Lola, is a pupil at the school, said the protest was intended to show O2 that there was a real determination among local residents to fight the mast. He said there were fears about the impacts of phone masts on the health of people living close to them, including worrying evidence of cancer clusters and other problems. O2 gained planning permission to build the mast next to the school by default in May last year. The county council rejected its planning application, but failed to make the decision within the 56-day period required by law. The mast had been opposed by parents, staff and governors at the school. Note: EMF-Omega News belongs to the Buergerwelle Germany (incorporated society), Umbrella Organization of the Citizens and Initiatives for the Protection against Electrosmog. Editor and responsible for the content: Citizens' Initiative Omega, member in the Buergerwelle. Buergerwelle Germany (incorporated society), which works on non-profit base. Our messages are the result of many hours of daily research, roundup and editing. If you have information which you would like to share with your friends and colleges around the world and which are from common interest, please send us this information, we will send them out. Disclaimer: The information in our EMF-Omega-News are derived from sources, which we believe to be accurate but this cannot be guaranteed. We are not responsible for any errors or omissions and disclaims any liability incurred as a consequence of any of the contents of this resources. Smart meters / Microwaves damage / Dear Senators / Leixlip mast / Body scanners petition / Do You Have Microwave Sickness? I am writing to you as a citizen of the world and as an EHS (Electromagnetic hyper sensitive) person. For years now I am suffering from Electromagnetic Hyper Sensitivity (EHS), which means that I am very sensitive to radiation that is being emitted from electric appliances and electronics communication devices such as cell phones. I became EHS after I was exposed to electromagnetic radiation from products that did not have any warning on them. At the time I was not aware of the health risk I am taking while using these devices or being near them while they operate. Today I can't be close to, or use an EMR emitting devices. I suffer from daily pain, headaches, fatigue, heat sensation, concentration problems, tingling sensations, memory problems and many more symptoms of radiation sickness, whenever I get exposed. Finding a job and keeping it is very hard, and every aspect of my life is affected by being EHS and from my exposure to electromagnetic radiation. There are millions like me all over the world right now and the numbers are expected to rise as the use of wireless and cell phone technology exceeds. The common thing about most EHS persons around the world is that before becoming EHS they did not know anything about the health effects of electromagnetic radiation and the danger of using the cell phones. Millions more are not EHS but do suffer from the long term effect of radiation exposure and cell phone use, people are sick, and more and more are becoming sick every day. Cell phone is one of the worst for me and other EHS persons, since most people have it and since it emits high levels of electromagnetic radiation when in use. When other people use it near me I have to move away, since the radiation it emits affects me even from a few meters away. Cell phones were created to allow people to communicate easily while being out of reach of a wired land line phone. The cell phone was intended for short and important conversation. People today abuse cell phones by using it for long hours; some people don't have a wired phone any more. The cell phone industry advertises and promotes the use of cell technology very heavily, while rejecting every claim and evidence for any health effect of the electromagnetic radiation emitted by the cell phones, and educates and pushes the public to excessive use of cell phones and mobile technology. Long term studies show a link between cell phone use and exposure to electromagnetic radiation to adverse health effects. It will take more than 20 years for the matter to become a consensus and until everyone will know that electromagnetic radiation have a heavy cost over the human health. The public must be allowed to make a conscious decision about his use of cell phone and mobile technology. Cell phones and mobile devices should be sold with a warning, people must know. Now you have a chance to help, you have a chance to make history and to vote for the public right to know. Please help in making the world a better place, please do the right thing! Please Vote "Yes" pro warning on cell phones on the "Children's Wireless Protection Act", the bill calling for a brain cancer warning label on all cell phones in the state of Maine. If the bill will pass in Maine, many lives will be saved not only in Maine but hopefully in other states and countries in the world that will pass similar laws. Electromagnetic radiation hypersensitive person and activist. Desmond Guinness is is proving true to his word. His mast will be coming down at the end of the contract as described in the following article from this week's Liffey Champion newspaper. Mr. Guinness took the decision not to renew his contract with the service provider for the Parsonstown, Leixlip site following a public meeting on the possible health risks masts pose to humans in St. Mary's GAA Club last March. Asked this week if there had been any change of mind, Mr. Guinness said he had already written to the company concerned to inform them of his decision and would be sending a reminder once the contract is up. "I don't want to have it there anymore because of the potential dangers," he said. "Some people think they are perfectly harmless but there are so many other places they can put the mast." This petition is an effort to block the nationwide implementation of full body scanners that represent a total violation of privacy, a health risk, and tyranny. Forcing people to pose for naked photos is a crime. If the government does this it will be a criminal government. If the body scanners are allowed to be implemented travelers will be forced to do worse things under the threat of being treated as a terrorist if they refuse the violation of their dignity and freedom. Professors of Molecular and Cell Biology maintain that there is no safe dose of ionizing radiation. In addition to these issues, full body scanners would not even have stopped the Christmas Day bomber from boarding Flight 253, according to a British MP who helped design the machines. I must advise the Prime Minister ­ and the British public ­ that the scanners are not a silver bullet, said Ben Wallace, who worked on the scanners at defense research organization QinetiQ. You would be mistaken to think that they would counter the new threat. This blows my mind!! I was just thinking about this very subject for the last few days. I have 80% of the symptoms. I am getting massive muscle pain and tightness in waves, along with headaches, and other symptoms. The reason I even thought it might be electronic is because my pets behave strangely when I feel the "waves" of pain and ears ringing. They jump up from dead sleep and lick, chew and scratch at their backs, both cats at the same relative time. They shake their heads and run around like their crazy. I began watching this, at it is DEFINITELY a pattern. I hear the ringing in my ears, and start hurting, within -/+ 30 seconds the cats are both showing signs. help, i can't be alone on this! We've been having strange things here too. Muscle aches and head aches, comes on within a few minutes after the wireless phone interference begins. 2.4ghz phones. Where are you? We're in the lower SRV. I haven't noticed it, but my gf works in a doctors office and she was reading this with me nodding her head like she knew exactly what you're talking about. She says lots of ppl coming in complaining of muscle and joint pain, lots of unexplained symptoms and undiagnosed patients. Sensitivity to electromagnetic radiation affects 9.8 million men, women, and children of all races in America (Levallois, 2002). Even though sensitivity to electromagnetic radiation is of widespread epidemic prevalence, public awareness of the disabling health effects of common electromagnetic exposures and ways to manage and accommodate sensitivity to electromagnetic radiation remains limited. Electromagnetic Radiation Awareness Month, May 2010, bestows upon us a great opportunity to work towards increased public awareness of sensitivity to electromagnetic radiation. Organizations around the world have put forth great effort to establish May of each year as Electromagnetic Radiation Awareness Month. Many are working to improve awareness and appropriate healthcare around the world. Activities are organized around the month of May and continue throughout the year. MCS America plays a special role during this time and is committed to promoting awareness of electromagnetic fields which may cause sensitivity to electromagnetic radiation and trigger reactions in those with sensitivity. This entire month of May is dedicated to planning for individuals and organizations in the U.S. to hold local events during Sensitivity to electromagnetic radiation Awareness Month and beyond. You will find numerous ideas for promoting awareness, educating others, increasing recognition, and planning community events. There are many editable sample materials which may be downloaded and used locally. Electromagnetic radiation awareness events are expected to take place across the United States this May. MCS America can help publicize your event on news feeds, blogs, newspapers, our newsletter, and other venues. Submit your event to admin@mcs-america.org . We value your feedback on the usefulness of the sample materials and welcome suggestions for future materials. On behalf of MCS America, I would like to thank you for any and all efforts towards increased awareness in your locality. We look forward to assisting you in any way we can. Working together, we can help America to take control of electromagnetic exposures and eradicate sensitivity to electromagnetic radiation. What goes on in Maine on March 2 may very well influence what goes on around the world. The Health & Human Services Committee of the Maine State Legislature will hear a bill requiring warning labels on cell phones. Internationally acclaimed experts will testify on their own independent scientific findings that show cell phones can cause brain cancer, with children and pregnant women being at the greatest risk. Industry-funded scientists will argue cell phones are safe. Other countries have taken action to protect their citizens. The U.S. has not. People want to know when that is going to change. The question has long been asked in Washington, but the answer will come from the great state of Maine. Do cell phones need warning labels? Cell phones are everywhere. This legislation does not seek to ban them. They are an integral tool in our day-to-day lives. Safety is the issue. Individuals and businesses need accurate product information. Cell phones had no safety testing before they were introduced into the market in the early 1980s, and the FDA did not ask for it. This is shocking. It defies common sense and violates our trust in the systems we believe to be in place to protect us. Cell phones are radiation-emitting devices. We are expected to hold them against our heads, and buy them for our children. Users number in the billions. The industry and government have known about the potential risk for years, and withheld that information from us. Cell phones need warning labels. The proposed warning label states the following: "Warning: This device emits electromagnetic radiation, exposure to which may cause brain cancer. Users, especially children and pregnant women, should keep away from the head and body." It includes a graphic showing the penetration of the radiation plume into a child's head. Experts advise to use the speakerphone, a good headset, hold at a distance, turn off when not in use, keep out of clothes pockets, and, for children, not to keep them on under the pillow at night. Even as technology advances and clever advertising attracts our young people, with "apps" of every imaginable sort, their smaller heads, thinner skulls, and fast-developing brains and bodies make them most vulnerable to the effects of the low level radiation pulsing against them. What is marketed as the epitome of cool may be generating more harm than style. Adults need to act. Experts predict a pandemic of brain tumors in coming years if we don't. Our future demands it. Representative democracy demands it. That is why I have introduced this bill. Deciding to bring this legislation wasn't hard, once I'd done my research. There is an ocean of scientific knowledge washing around us. Most of us just haven't thought to plunge its depths. The information was all readily available from libraries, experts, studies, the Internet, and actions of other legislative bodies. I have consulted with renowned authorities, reached out to U.S. Congress people, invited input from industry and retailers, Maine health authorities and physicians, the Governor, and those who have researched and worked in this field for many years. I have listened to heartbreaking personal experiences. As a state representative, I am committed to serving the best interests of our people. Cell phones need warning labels. Citizens reasonably expect government to oversee the safety of products. The industry is obliged to assure their safety before marketing them. That didn't happen. One would hope the FDA would insist. That didn't happen. Independent studies in other countries showed there was a health risk associated with cell phone use. In the U.S. there was a major, $28 million study, performed in the 1990s under FDA rules, that revealed health risks from cell phone use, but no government action was taken. Even with brain cancer the leading cause of children's death from cancer in our country, no research into the causes has been conducted. One has to ask, "Why?" We are sadly lagging behind other countries, like England, France, Austria, Australia, Germany, Italy, Sweden, Israel, India, China, and Russia. Industry, government, scientists, and the public can work together for better awareness and solutions. Cell phones need warning labels. Maine is the first state in the union upon which each new day dawns. It is my fervent hope that industry and government will greet the dawn of March 2 with a commitment to put people first, when Maine becomes the first state to acknowledge that cell phones need warning labels. State Rep. Andrea Boland represents District 142 in Sanford. At a recent public meeting several experts spoke about the health risks associated with wireless technology. Ross William Hamilton/The OregonianA cell phone tower sits near the corner of Southeast Powell Boulevard and Milwaukie Avenue in Portland. The City Council voted Wednesday to push back on federal regulations that speeds up the review time line for new towers. The Portland City Council took a swipe at the wireless industry Wednesday, voting to join a federal challenge to an FCC rule that requires speedier reviews of new cell towers. This could be your average case of local control versus national might. But the unanimous council vote also comes amid public unease over the looks, noise and potential safety hazards of cell phones and wireless equipment. A showing of a new documentary, "Full Signal," about the cell towers' effects on people's health attracted several hundred viewers, including Portland Commissioner Nick Fish, to the Hollywood Theatre on Sunday. In Northeast Portland, residents have banded together to fight a proposal by wireless company Clearwire to convert an existing utility pole into a 60-foot communications tower. The issue isn't going away, as consumers demand anytime, anywhere, crystal-clear sound and speed on cell phones and smart devices. "Portland isn't against having cell phones, and I understand you need to have some reasonable coverage,"Fish said. "But the fact that the playing field is so tilted in favor of industry ... that's outrageous." In 2007, CTIA-The Wireless Association petitioned the Federal Communications Commission to set strict timelines on new cell towers, citing foot-dragging by some municipalities. Last November, the FCC complied. The "shot clock" issued by the FCC mandates 30 days for an initial local review to check the completeness of an application for a new cell tower. It also sets a 90-day deadline for review of applications to attach to an existing tower and a 150-day deadline for new cell towers. An applicant can sue if the local land-use board fails to comply. Portland, following state law, allows for 120 days to review all land-use applications, including wireless stations. Mary Beth Henry, acting director of the city's Office of Cable Communications and Franchise Management, called the FCC ruling "capricious" and an unprecedented move by the federal government to take on the most local of issues -- zoning. "They like a one-size-fits-all," she said of wireless companies, "so they can steamroll on through." Brian Josef, director of regulatory affairs in Washington, D.C., for CTIA, said he's puzzled by the council's action given that the 120-day deadline is shorter than the 150 days allotted in the new rule. "There have been instances in New Jersey where in one particular town it took over six years for an initial decision, and nine years before a tower was built," he said. "That's not to say that all zoning boards are obstructionists, it's just that there are enough of these bad apples" that the industry needed federal backup, he said. 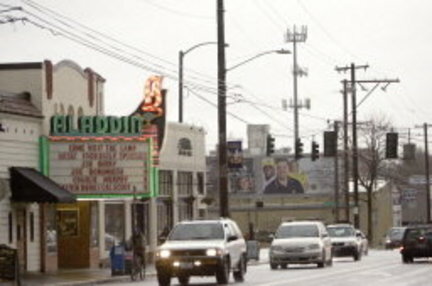 The resolution adopted by the Portland council authorizes the city attorney's office to represent Portland in a petition by the city of Arlington, Texas, in the 5th U.S. Circuit Court of Appeals, challenging the FCC. The council approved an initial amount of $1,000 for the challenge. The vote was unanimous, with Commissioners Fish, Dan Saltzman and Randy Leonard voting yes. Commissioner Amanda Fritz was visiting family in England, and Mayor Sam Adams was in Washington, D.C.
Leonard went so far as to propose a strict map of where wireless facilities can and can't go in the city. Last year, the council asked Congress to lift a federal pre-emption on local governments' ability to study the impacts on health caused by cell phones and wireless equipment. There are roughly 900 wireless facilities in Portland, including antennae on existing structures such as rooftops and water tanks. The number includes about 300 cell towers. A proposal by Clearwire to convert a utility pole in the Beaumont-Wilshire neighborhood wouldn't fall under the FCC shot clock, because it's an attachment on a utility pole in the public right of way. Those are regulated by the cable franchise office, which collects fees from utility companies. But the debate has spurred the same concerns over health and noise and quality of life. "What the City Council is trying to do, to get local control to some extent over the construction of these towers and this equipment, is the right way to go," said Al Ellis, president of the neighborhood association. Debra Havins, a spokeswoman for Clearwire, says the Kirkland, Wash., company is not eager to upset neighbors. "But when we go into an area and build our network there, it's because there's a demand for it." Chiropractor Dr. Howard Fisher will give free seminars about the threat of electromagnetic fields from cell phones and other sources at the Radisson Hotel in Sudbury Feb. 26 from 7:30-9 p.m. and Feb. 27 from 9 a.m. to 1 p.m.
"Presenting compelling evidence of the current dangers posed to adult and child health from electro magnetic fields, Dr Fisher's seminar highlights both the problems and potential solutions and places the onus squarely where it belongs and discusses the startling fact that we may be facing 430 million brain tumours globally over the next ten years," stated a press release. "On a mission to educate and enlighten the world about the toxic factors that exist in our environment and their direct relationship to our health; Dr. Fisher's seminar makes professionals and the public aware of the omnipresent threat in our immediate environment." The press release states that a review of current literature reveals a relationship between electromagnetic radiation and DNA damage; including cancer, leukemia, neurodegenerative disorders, blood brain barrier leakage, the autism spectrum, hormonal disruptions to serum levels of melatonin and cortisol, and most recently a direct relationship to brain cancer. Fisher is the author of a book called The Invisible Threat: The Risks Associated With EMFs. For more information, phone the ATRC Chronic Pain & Sports Clinic at 674-2110. That large water tank you just drove by may be holding something very different than you think. Instead of numerous gallons of drinking water, a rustic-looking circular tank near Seventh Avenue in Hesperia will be built to hold telephone antennas transmitting signals to local cellphone users. And that creatively concealed tank could be just the beginning of a new trend in cell tower camouflaging. Besides the "mono-pines" and "mono-elms" — cellular antennas disguised as trees — the city also has approved a free-standing sign that will house an array of antennas. "Code requires them to be camouflaged or disguised," said senior planner Daniel S. Alcayaga. "Cell phones are becoming more and more popular, so I do expect for us to get more applications for wireless communications facilities." "We're going to have these cell towers around for a long time," Hesperia Planning Commissioner Joline Bell Hahn said before the commission approved T-Mobile's conditional use permit request last week. "And we're going to have three or four cell companies using the same area." The city has suggested the name "Hesperia Land and Water Company" be emblazoned on the T-Mobile water tank as a historical tribute to the community's original water company that was established in the 1880s, Alcayaga said. The tank, which will be on property owned by the Hesperia Water District, will be located about 430 west of Seventh Avenue on the north side of Palm Avenue. "It's similar to one that is in the Oak Hills area," he said. "It's a theme were trying to introduce." According to Susan Chong, who represented T-Mobile at the Feb. 11 planning commission meeting, the water tank has to be 52-feet high to allow for optimum reception. "We need to be above the trees," Chong said. "And that's one of the main reasons why we need to be as tall as we need to be." Hesperia principal planner Dave Reno also attempted to dispel a neighbor's concerns over alleged health concerns from cell tower transmissions. "Edison has done a great deal of research," Reno said. "No study has proven any health risks." Reno agreed that more cell facilities should be springing up. "People want their cell phones to work," he said. "They want them to work everywhere. For that these cell towers are necessary." There is some false information in your article http://www.hesperiastar.com/news/tank-3215-water-tower.html , where Dave Reno is quoted as saying: "No study has proven any health risks." A hospital in Missouri said Wednesday that it had overradiated 76 patients, the vast majority with brain cancer, during a five-year period because powerful new radiation equipment had been set up incorrectly even with a representative of the manufacturer watching as it was done. The hospital, CoxHealth in Springfield, said half of all patients undergoing a particular type of treatment — stereotactic radiation therapy — were overdosed by about 50 percent after an unidentified medical physicist at the hospital miscalibrated the new equipment and routine checks over the next five years failed to catch the error. The revelation comes at a time of growing concern about safety procedures for a new generation of powerful, computer-controlled medical radiation equipment. Stereotactic therapy delivers radiation in such high doses that usually only one treatment is required. It is commonly used to treat small tumors in the head, which must be firmly stabilized, allowing radiation to be delivered to a precise location. The error was discovered in September 2009 only after a second physicist received training on the equipment, made by BrainLAB, and the hospital began questioning whether the machine had been installed correctly in 2004, in a process called commissioning. The overdoses at CoxHealth occurred in a state where there is little or no government oversight of radiation therapy, a fact that Robert H. Bezanson, the hospital's president and chief executive, chose to emphasize. On Wednesday, he released a letter that he wrote to the Food and Drug Administration, saying that its recent decision to toughen oversight of diagnostic radiation did not go far enough. "The initiative should be broadened to include regulation of medical radiation therapy as well," he wrote. "We have also learned that the incident here at CoxHealth is, unfortunately, not an isolated occurrence. Rather, similar instances of medical overradiation have occurred at other hospitals throughout the country. Without increased regulation and oversight, these instances of medical overradiation will likely continue." The hospital promised to work with state legislators on ways to better regulate radiation therapy. Last month, The New York Times documented the harm that can result from radiation errors when basic safety rules are not followed. It also found that in a variety of ways, the pace of technology had outpaced the ability of the medical profession and regulators to keep up. The overdoses in Springfield echoed what occurred at the Moffitt Cancer Center in Tampa, Fla., where a similar commissioning error resulted in 77 brain cancer patients' receiving 50 percent more radiation than prescribed in 2004 and 2005. The failure of medical facilities to properly commission new radiological equipment was cited as a concern last November by the American Association of Physicists in Medicine. A testing service for institutions participating in National Cancer Institute trials recommends that certain newly installed radiotherapy equipment undergo an external, independent review before patients are treated. That did not occur at either Moffitt or CoxHealth. CoxHealth said that so far it had not found any patients who had been harmed beyond the complications of routine radiation therapy. But patients are still being contacted. Some patients, who were seriously ill, have died, and the hospital is looking into those cases. "The review of their charts and situation is still ongoing," said Dr. John Duff, senior vice president for hospital operations. "It would be premature to speculate whether the overexposure was a contributing factor to their death." Dr. Duff said he did not know why the BrainLAB employee who was present while the new equipment was being installed had not caught the mistake. He said that the hospital did not have any reports from BrainLAB indicating a problem. The physicist who incorrectly installed the equipment no longer works at the hospital. Officials there declined to explain the circumstances of his departure. "It's unacceptable to us that an error like this occurred, and we are taking steps to make sure that an error like this doesn't happen again," Mr. Bezanson said. The hospital said its stereotactic system "remains suspended indefinitely while we are auditing the entire program." Kate Franco, a spokeswoman for BrainLAB, issued a statement Wednesday that said the company had assisted CoxHealth in figuring out what went wrong. "Reviews determined that BrainLAB equipment performed as designed and did not malfunction," the statement said. Article from Popular Science. Click on the above link to see the actual article and all photographs. A cellphone has to be in use—either making or receiving a call, or searching for a signal, when radiation levels are highest—for it to have this kind of effect on Segerbäck. Phones that are on but neither sending nor receiving usually don't produce enough radiation to be noticeable. But it's not the sound of the phone that sets him off. Once, while on a sailboat with friends, he recalls, he was on the front deck when, unknown to him, someone made a call belowdecks. Headache, nausea, unconsciousness. When Segerbäck is within range of an active cellphone (safe distances vary because different makes and models produce different radiation levels), he experiences the feeling that there is "not enough room in my skull for my brain." Sweden is the only country in the world to recognize EHS as a functional impairment, and Segerbäck's experience has been important in creating policy to address the condition. Swedish EHS sufferers—about 3 percent of the population, or some 250,000 people, according to government statistics—are entitled to similar rights and social services as those given to people who are blind or deaf. Today, local governments will pay to have the home of someone diagnosed with EHS electronically "sanitized," if necessary, through the installation of metal shielding. Ionizing radiation—the kind produced by x-rays, CT scans and nuclear bombs—can do terrible damage to the body. It is classified as a carcinogen. But ELF and RF are types of non-ionizing radiation, which is thought to be nearly harmless. Non-ionizing radiation isn't powerful enough to break molecular bonds, so it cannot directly cause the cellular damage that leads to disease. This type of radiation is everywhere. "We are bathed in a sea of non-ionizing radiation," says John Boice, a professor of medicine at Vanderbilt University School of Medicine and scientific director of the International Epidemiology Institute, a biomedical research firm in Rockville, Maryland. This sea, most scientists agree, is harmless. Cellphones are safe and conditions like EHS cannot exist, they argue, because the EMFs involved are too weak to have any health effect. The non-ionizing radiation from cellphones has almost no known influence on the human body. In fact, the only universally recognized effect of non-ionizing radiation is a very minor heating of nearby tissue. The Federal Communications Commission sets EMF limits for cellphones—measured as "specific absorption rates" (SARs)—below which significant heating does not occur. Segerbäck's symptoms and those of other EHS sufferers, according to many researchers, may be either misdiagnosed or imaginary. Some experts suggest that people like Segerbäck perhaps suffer from a psychological disorder, or that their cases may illustrate the "nocebo" effect, in which the expectation that something will make you sick actually does make you sick. A review published last year in the journal Bioelectromagnetics found no evidence that hypersensitive individuals had an improved ability to detect EMFs, and the study found evidence of the nocebo effect in those same people. He noticed his first symptoms—dizziness, nausea, headaches, burning sensations and red blotches on his skin—in the late 1980s, a decade into his telecommunications research work. All but two of the 20 or so other members of his group reported similar symptoms, he says, although his were by far the most severe. His EHS worsened and now, he says, even radar from low-flying aircraft can set it off. Segerbäck is convinced that the perfect storm of EMFs in his office, combined with potentially toxic fumes from his brand-new computer, were responsible for his condition. "The company doctors didn't understand what was going on," he says. The Interphone project, a collaboration among 13 countries that carried out studies between 2000 and 2005 coordinated by the WHO's International Agency for Research on Cancer, was set up to settle the matter of whether cellphones cause brain cancer. It, however, has been plagued by controversy over methodology, bias and contradictory results. Interphone spans a period during which cellphones and their use have changed greatly. Children were not included in the study, for instance, because cellphone use by kids was low when it began in 2000. Let's be clear: Cellphones are not like cigarettes. There is a proven mechanism by which cigarettes cause cancer, even if you live an otherwise healthy life. There is as yet no proven mechanism by which cellphones do the same. Most experts say there is no such mechanism. "There is no dramatic evidence of a health effect," says Michael Kundi of the Institute of Environmental Health at the Medical University of Vienna. "Otherwise, we all would be terribly sick." But, he says, there is another crucial distinction to understand. Even though EMFs are in all likelihood not cancer initiators—they don't cause cancer the way that tobacco does—the radiation might well be a cancer promoter, allowing precancerous cells time to grow and metastasize, especially in concert with other factors. He argues that research should not focus solely on brain cancer. "It is very, very hard to prove a direct link," he says. "The evidence is tenuous at best." Woollams believes researchers should also pursue the possible mechanisms by which EMFs might impair the body's overall defenses. He suggests that the daily sea of EMFs—combined with other environmental factors, such as toxic chemicals and poor nutrition—may have a collective influence on our health. "I am far, far more worried about how [cellphones] could lead to a diminution of the immune system," he says. "Mobile phones add to the problems that bring about brain tumors. Phones should carry a warning, the same as cigarettes." Investigating the relation between cellphones and health risks remains terribly difficult and inconclusive. Brain-cancer studies are particularly hard to conduct—the tumors are rare and can take decades to develop—but they do exist. Most studies have addressed either malignant tumors such as glioma or benign tumors such as meningioma or acoustic neuroma. Some studies have also focused on salivary gland tumors. The majority have found no link between cellphones and these types of cancer. But a few have. Lennart Hardell of the department of oncology at University Hospital in Örebro, Sweden, found increased risk for glioma and acoustic neuroma after 10 or more years of regular cellphone use. He concluded that current radiation limits for cellphones are unsafe. What, then, should we study? Kundi points out that according to current research, cellphone radiation does have "non-thermal effects"—biological effects beyond the mere heating of tissue—that could influence human health. Identify the mechanisms behind these effects, he urges, and design phones that don't produce them. There are three main lines of investigation into non-thermal effects: the potential influence on melatonin production, gene expression and intracellular signaling. Research by Igor Belyaev, an associate professor in the Department of Genetics, Microbiology and Toxicology at Stockholm University, has shown that EMFs can affect gene expression—the mechanism by which genes are activated and "speak out"—in human and animal cells. Belyaev exposed human lymphocytes, a type of white blood cell involved in the body's immune response, to EMFs at 915 megahertz, a common cellphone frequency. The samples were taken from healthy people and those reporting EHS symptoms. In cells from both types of subjects, Belyaev observed a stress response that altered gene expression. The stress response induced by EMFs at 915 megahertz disrupted the body's DNA-repair machinery, he concluded, thus making it harder to fix the kind of cellular damage that can lead to cancer. In other research, Belyaev has found that cellphone-frequency EMFs inhibit DNA repair in stem cells; DNA breaks in stem cells are critical to the onset of leukemia and some tumors, including gliomas. Rony Seger of the Weizmann Institute of Science in Rehovot, Israel, has found that EMFs in the 900-megahertz range also influence intracellular signaling pathways—how cells talk to each other. Working with rat cells, Seger and his colleagues found that cellphone radiation changes the activity of certain enzymes, prompting them to start producing free radicals. Free radicals are rogue atoms that can cause damage when they interact with DNA and other crucial cellular components. Today he cooks all his meals on a wood-burning stove. The fireplace is his only source of heat. He has electric lights, a phone and a computer, but their power source—a 12-volt battery—is buried in an underground cellar about 30 yards from his house, far enough away that the EMFs can't reach him. His computer and his mouse are both surrounded by metal plates so no radiation escapes. His neighbors all know about his condition and (with occasional, painful exceptions) know not to carry cellphones near his house. Segerbäck is surprisingly sanguine about his situation. "Of course it's a very sad thing that happened to me," he says, "but it can only be regarded as an accident. I am a positive person, from a line of very stubborn people able to survive under tough conditions." He is determined, in his affable, soft-spoken way, to gain greater recognition and greater credibility for EHS. Not by banning cellphones—he's still too much a telecom engineer for that—but by somehow making cellphones safer. In fact, he even takes some responsibility for being part of an industry that designed devices he now believes are hazardous to people's health. "Guys like me were so far ahead of society," he says. "We didn't know medicine. We didn't think what we were developing could harm anyone. It's hard to admit we've been wrong for so long." But I seriously question the statement "Your cellphone does not in itself cause cancer." This is in direct conflict with findings of the REFLEX Project, which reported multiple replications of double-strand DNA chain breaks at exposure to cellphone-type radiation within official 'safety' levels. Double-strand DNA chain breaks CAUSE cancer. The REFLEX studies were carried out on groups of living cells in Petri dishes. As the leader of the project stated: these results don't prove conclusively that such radiation poses serious health risks to humans – but it is strongly indicative of such a possibility (almost his exact words). Even more explicitly, the study's Summary on 'Genotoxic Effects' (which can be broadly interpreted as 'effects likely to cause cancer'): "Based on the methodology used and the data obtained in the REFLEX study, the findings on genotoxicity caused by RF-EMF are hard facts." How one can state definitively in the face of such evidence "Your cellphone does not in itself cause cancer" is quite beyond me. I've attached my summary of the REFLEX Study findings, for reference. A good article - a shame it was slightly marred by such an unwarranted assertion which goes against the available evidence. This EU-funded project, undertaken by twelve partner institutions from seven European countries, published its Final Report in November 2004. The twelve partners between them conducted a large number of experiments on human, rat and mouse cells of various types. Roughly half of those experiments used RF (RadioFrequency) EMFs, as emitted by mobile phones and masts; the other half used ELF (Extremely Low Frequency) EMFs as emitted from power lines and similar sources. Both types of emission were shown to have a number of significant effects on the behaviour of cells - potentially seriously harmful effects. "DNA double strand breaks may affect the integrity of the genome leading to cell death, uncontrolled cell growth or cancer (Van Gent et al. 2001)." "RF-EMF generated DNA strand breaks in granulosa cells of rats and DNA strand breaks and chromosomal aberrations in human fibroblasts." "Our results imply a genotoxic action of RF-EMFs below proposed radiation safety levels." "Based on the methodology used and the data obtained in the REFLEX study, the findings on genotoxicity caused by RF-EMF are hard facts." "They move such an assumption nearer into the range of the possible." "Since all these observations were made in in vitro studies, the results obtained neither preclude nor confirm a health risk due to EMF exposure, but they speak in favour of such a possibility." It is more likely than not, on the basis of these findings, that such health risks exist. "Furthermore, there exists no justification anymore to claim, that we are not aware of any pathophysiological mechanisms which could be the basis for the development of functional disturbances and any kind of chronic diseases in animal and man." The claim, so often peddled out by official sources, that there are no known mechanisms by which radiofrequency electromagnetic radiation could cause illness, is no longer tenable. "RF-EMF produced genotoxic effects in fibroblasts, HL-60 cells, granulosa cells of rats and neural progenitor cells derived from mouse embryonic stem cells (Paticipants 2, 3 and 4). Cells responded to RF-EMF exposure between SAR levels of 0.3 and 2 W/kg with a significant increase in single and double strand DNA breaks and in micronuclei frequency (Participants 2 and 3). Chromosomal aberrations in fibroblasts were also observed after RF-EMF exposure (Participant 3). In HL-60 cells an increase in the intracellular generation of free radicals accompanying RF-EMF exposure could clearly be demonstrated (Participant 2)." "There is some indication that RF-EMF may affect the growth arrest and DNA damage inducible gene GADD45 and the neuronal differentiation by inhibition of Nurr1 in neural progenitor cells (Participant 4)." "There is some indication that RF-EMF may have some influence on the bcl-2 mediated anti-apoptotic pathway in neural progenotor cells (Participant 4) and on the the p38MAPK/hsp27 stress response pathway in endothelial cells of human origin (Participant 6) which may in turn exert an inhibitory effect on apoptosis." [RF] EMF may activate several groups of genes that play a role in cell division, cell proliferation and cell differentiation (Participants 2, 6 and 12)." External activation of such crucial groups of genes needs no further comment. [public fear of health effects]. For this purpose, possible effects of EMFs on cellular events controlling key functions, including those involved in carcinogenesis and in the pathogenesis of neurodegenerative disorders, were studied through focussed research. Failure to observe the occurrence of such key critical events in living cells after EMF exposure would have suggested that further research efforts in this field could be suspended and financial resources be reallocated to the investigation of more important issues. But as clearly demonstrated, the results of the REFLEX project show the way into the opposite direction." More on this subject, including Professor Ross Adey's excellent foreword on the proper conduct of fundamental research, also news reports, on the Powerwatch website: www.powerwatch.org.uk . The full REFLEX Report can be downloaded as a PDF File (10.8 Mb) via a link on Powerwatch. My kids have been educated on the dangers of electromagnetic radiation (EMR) from cell phones, cordless phones and WiFi networks, so they were aware enough to come home and tell me how they're unwillingly getting exposed to EMR at their school – via other kids' cell phones and the wireless computers in the computer room. This is the letter I put together and sent to my kids' school, the school district and the provincial board of trustees. Feel free to copy/paste any of it if you would like to raise this concern with your own child's school. I'm writing with regards to cell phone usage, WiFi Internet and any other ultra-high frequency radiation devices used inside the school building. I've also cc'd this letter to the Surrey School District and BC School Trustees Association, since I'm not sure who is in charge of setting school policy on these issues. My children have told me that many children in their classes own cell phones, which are allowed to remain turned on, whilst in the classroom. Whether these phones are set to ring or just vibrate is not the issue. If they are turned on, then they are transmitting (and receiving) to the nearest cell phone tower continually and emitting electromagnetic radiation (EMR) throughout the classroom. My son has also told me that all the computers in the computer room are wireless. Again, as computers on a WiFi network are in the "ultra-high frequency range" and nearly up to the "super high frequency" range (see attached info on radiation frequencies from NASA), this likewise is transmitting very high EMR to the children (and teachers) in that classroom. When we lived in Singapore in 2001, there was huge coverage in all the newspapers because 20-year-olds throughout the city were having heart attacks and they couldn't figure out why. Then, someone figured out it was because it was the fashion at that time for young people to wear their cell phones on decorative cords around their necks. This meant that their cell phones were hanging right next to – you guessed it – their heart. So a warning went out in all the local newspapers, telling kids not to wear their cell phones on these cords. But funnily enough, no one I've spoken to in Canada (or the U.S.) ever heard about that. And no one thought about warning people not to wear their cell phones clipped to their belt, or in their pocket. Of course there are huge revenues at stake with wireless technology and until recently, not much long-term hard data on the risks or effects. But as you can see from the first reference listed below (from the head of a cancer research institute), that has now changed, and there IS enough data in place for respected scientists and doctors to conclude that cell phone and other ultra-high frequency wireless devices are not safe for long-term, or cumulative human use – especially for children. I have also listed my own research – including hard data from NASA's website, that has led me to completely ban cell phone, cordless phone and wireless computer usage in my family and my house. Many people are comparing cell phones and WiFi network usage to cigarettes – which were also once thought to be a "private" choice, but later acknowledged as a public health issue – where your choice affects my health. I ask that you review the attached research and sources – of the thousands of references available, I have included only a few of the most pertinent as I know your time is limited – and then please let me know your thoughts/plans for school policy on these issues. I realize that assessing your current computer set-up is a more serious (and possibly costly) endeavour, so I understand that may take time. But something that could be addressed immediately (and to me is more worrying) is the cell phone issue inside the school and classrooms. If you could find a way to ENSURE that cell phones are turned completely off whilst inside the school, that would be great. I look forward to hearing your thoughts and feedback on this matter.